The Poet/Philosopher asked “The Tree of Knowledge” 18 Questions. "Who am I ?" "I am Leaf"
"DISCLAIMER, Glossary, Other Free Publications, References." Truth now disclosed, Never heard. For this is your Grandest hour. And listen to the Silence clear. “It” all be said, as “It” is read. Truth's vibrant harmony does de-stress. Now is the time, Hell’s absurd. Love, Love, Love is not all you need. Soul’s call unsatisfied by hu-man-kind. All others lead to unholy Rome. Ask - Did you go unto the Mountain? Quench your thirst from the fountain? Or were you mounted at the Sermon? Are heathens, heretics and pagans truly Vermin? Knowing Wisdom’s Tree, Asked “Ask”, for you and Me! At the Beginnings, of Life’s wondrous Mystery. Be sacrifice upon their altar? Ask not? Did you Ask, the Question? Not search; rely on faith, Follow, never Falter? Do you deserve a mention? With affection, “Turn the Page”. Imbuing, absorbing to their Adage. The numerous Lies told to You! For one, there be no Saviour! Change your SELF to Right behaviour. From what Truth revealed, and does uncover? We Beseech you to act upon the Rhyme! There will be No ground to Step upon. By those with pockets swollen. Love one another. You are your Brother. Respect your Mother! You are each other! Nothing new, it is strictly up to you. And Denied to all there could be more. Again are told, don’t be bold. Clears vision’s eyes, for you to plainly see? Past, Present, Future beyond the mast? Who Stole the Count, before Year One? 8 billion years of mankind's sun. What Progress to today’s accounting? For the horrors are amounting. You do remember past September. There is no other reason, comes again your Season. When “Natural Law” dictates Reaction. Politicians are less apt than you the Reader. Slaughter the innocent, Collateral activates the awesome Roar. Little Knowledge Survived the Mass Burnings under Rome. Here, hear the Truth to guide you Home. You are all you See. Search the Universe in vain? Find Simple Truths as now revealed? From the Tomb no longer Sealed. Once Science and Lawyers rule the day. Direct the Children, look out to empty Space. They declare you are the only Race. Do you remember when, you were Them? Yes! And fled to a Safer place. A Spiritual Hierarchy is observing it, your stint! Timeless Truth returns to sort “It” out. Shining forth to all of man. Again played the Mortal Game. And never learnt, Your Spirit’s Name. What was ‘Your’ Name, from whence you came? Accept the Label, from the cradle? And Forget, the distant Closing Star? But how, by What means will you Survive? You will Remember, what and How you gave. Or Defy. Refuse to Crucify, use your Intuition? Are you Death before the fall? Will you ignore the Higher Call? Memory gently closed. You my friend were transposed. When round and round you go? Gathering, reaping consequences you did Sow. Eventually inevitably all do grow. Every human fooled, fueled by fear. Time to remember “Thou Shall Not”. Ask this be your Chance. Hark, listen to the Angels’ tread. Earth’s Leaders swell in infamy. Consider how: hold back the Tax, hear the Facts. And of your innermost secret, “I AM” aware! Let Freedom Sing, Welcoming, an ongoing Spiritual Adventure. “Soul and Spirit know the Truth”. More Intelligent than Religion’s Role. Allow not Religions your freedom to Control. Have you heard the News denied you by the JNews? Live now Free from internal Strife. Make Heaven now on Earth, God’s Home. When they led us to the slaughter? Did you flounder at the loss? Did you care, were you there, are you There? Have no need of gods and State, nor donation for the Plate. Bound but Free, all await their Destiny. Becoming vegetable, animal and gnome. Looking through eyes that see. The Dweller, in the Heart. You from the “Spirit” cannot part! Of primaeval, humble beginnings in the mud. And so the living, Live as they Die. The future state, you do Create. Sets you apart from the Pet you Idolize. Both survive the Shedding skin. No escape, can not give in! Daughter, Son; You are the One! Spirit unseen flows in You. When found will make you Whole! No promised land for the outstretched Hand. Manure’s Nonsense, turn under Sod. Your time to Self Compensate. Note, mark the cost, in ‘Akasha’ nothing’s lost. Do not Delay; Or pay and Pay! Suppose their Nirvana’s Heavens came tonight? Would you flee before the Light? Steered a course, beyond your Sight. It is Spirit that you Yearn, and Return. Hid behind an Earthly Sun. At Break of Day a new Journey has begun. Did you control your Hand? Can you breathe the Air? Are you all still There! Confront the Seeds you sow? Simple sheep so swiftly Shorn. Spirit in Transit, precious Life, Enhance it. Straightforward, Simple said, “Duality is Spiritual Reality”. Survives each life, Forgetting Strife. Seeks expression, is the Norm! Spiritual Knowledge left far behind. Fallacy from the Insincere Mind! To seek a Source, that all there is does Create! It really is not funny. This Lasting Teaching, surely True. Most certainly Universal Truth applies to You. For mankind’s Race its vagaries Name. Do you hear, whispered in your ear? In the Air, are you still Where? Spirit say unto the Church, Take Care! Ask will you burn, what did you learn? Will you find the Time; Do you care? Have you found Spirit Ground? Must Soul’s Spirit go round and round? An invisible thread, running from head to Head. You knew this from the Start! Does not mean it’s Not! See you through a physical Mist. Leave physical form and Pass. Again to Earth most Incarnate! A Physical World to Overcome! Pain and Pleasure test every One! Are you at the bottom Rung? The mirrored surface of the Whole. Regain Spiritual Sanity, Spiritual Practicality. Welcome Sensible Educated Spiritual Reality. ‘Spirit’” & ‘Soul’, Education for all Nation! “Will a ‘Faith’ save my Soul? Did you know that Bishops Roam? Comfortably Avoid the Essential Proposition. Truth is, “Beyond Death, Personality Survival, Individually!” Yes, yes, all will come to Me! Truth percolates from Dimensions deep. The Dead, are awake instead! They are not really Dead! Awake, awake, do you hear a Species shake? Religion & State do not Equate! ASK - What future for such a Race? Consciousness questions survival of a human Face. Hence, “The Formulae for Suicide”. Just in time to Save the Children’s Hide! Evidential Lasting Truths on Basis Firm! Spirituality is Reality, all else Banality. Sorry, be no Pearly Gates, for all have Taints. Heavens! ‘hells bells’ and Virgin Fallacy. Then welcome a new Spiritual Reality. Change your ways and prepare. Holds you in her arms my dove. Arrives the day they remove the Mask! “Out of Africa” they say. Nay! Nay, Nay, Tree does Sway. Far Beyond the Physical you will find Humanity’s Self-starter. A Corrupt System’s Science, spawns their Alma Mater! After solidification of the Globe? Ancient Sanskrit, transcripts you explore. All else burned and criticized. The Existence Truths left far behind. Were stolen, invented every line. What were the words spoken long ago? Dawn light, night does go. Desist persistent knocking at the Keyless Door. Precious Truth you have in hand. Obey Truth as by a Royal Command. Ask the Tree, hopefully joyfully the Victory! You from ovum egg in Mud. Spirit in marrow and in bone. Pre-dates “Breath of Life” as Hu-Man Kind. Ethereal Soul’s Spirit, Seeking Life Does Find. Mind Born, Sun born, Sweat born, Cell, Grub & Egg. Born in Fish to wait, Gestate. with desperate cry, not Shrewd. When? Did the Spirit that is you, enter In? Do you imagine you came with the seed? Indeed! When then, did it all Begin? Is But the Passing Norm. Locked the Door, to Ancient Wisdom from Before! Colonized Earth made their Domain. Returned from whence they came. The collective Spirit from more Demerit. Elevate, Educate for this hour be Late. Who holds the Smoking Gun? Millions starving, no place to Run. Were you the Lunar Ancestor of Mankind? Colonized, Settled Cooling Earth, others, distant places. Ask a recent Fifty thousand years or so? Ask how much do You really Know? How many forgotten lives to go? “If” you close Kipling’s open door! A myriad Creations in the Human Soul Dorm. Spirit incarnate in animal Form. When, mankind Remembers How and When? Divided into three were We! Not available to man’s University. Finally lifted, their Inquisition’s Book List Ban. Tread the Path to a Fast Recovery! From the Cradle to Eventide. Set aside that Degree, Qualify to be Free. 8 Billions years in Ancient History buried in Antiquity. A Man descended from the Stars. Found Man and forgotten lakes and lives on Mars. Reminder of a big Mistake. Life’s Lessons learnt in Spiritual State. Animal & Animal man, Science Merged. Similar to one known as the Ape. Made Garden of Eden their Earthly Home. Salt Water Gull, Eagle eye, Spirit in you and I. Spiritual Individual Awareness, past Conscious Form. Spiritual Existence on this Rock! Carried First Life upon the Dragon’s back, Way Back! Circle Inner Worlds you call Home; Your own. Myriad Facets upon Nature’s Plate. Among self same seven sexes, sow their Seed. Manifest, intertwine, rest in Spiritual Slumber Sublime. Monadic Over Soul of Life, does Sing. Spiritual Sensitivity, woven Nature’s Intense Immensity. Science attests to that Actuality! Light in Principle in Light. Left Earth to her Doom? Who Trod the Stairway to the Higher Planes? Rabbis, Priests & Clerics may no longer Seal. Humanity trod a path to Hell. Led by a Christian Bell! Scattered, Misguided, Divided strayed so Far. Aware Spiritual Individuality, eventually be Thy Destiny. Securely rooted in Spiritual Principle’s Ground. I have Found Civilizations on the Run. Love and Action will set you Free. A duration, now determined by your basking in the Asking? In you a Spiritual Seed was Sown. Stamped an image upon your Face. Via the Mia of Material man’s Skepticals, rarely Seen. Ancestry, Opportunity, Truth in Reality? Yet your Masses support the Rort! Supported by the State, lacking a Mandate. Beyond hidden Burning Book and Broken Pencil. Zygote Embryo Fetus, be not You. Be no Spirit, no Soul connection in only Skin! Comes a time for Everything. When Unavoidable Circumstance dictates, Clean the Trace”. Until Life Independent from Mother Nature’s Quickening! Until, twixt Quickening and shortly after the Birth. Prevention must be the Intention. Many Healthy means of Contraception. That Ovulation can begat Creation. Simple Conception for you to know. Then return to Loving Mate! Circumcision, base Culture’s Rule on Preference, No Indecision. Karma’s Incarnating Spirit sent for Experience. Be aware until Connection, then asleep, to wake. Well, That is a Lie! Sense Organs in Transcendental Form. When did Hu-man Life Commence? Where came the Invisible Spirit Essence? What is the Immense Unknown Presence? When did Your Life Commence? Like attracts Like, a Principle worth Believing! Wisdom and Knowledge Spirit does Retain. Composite of all you Know! Light the Path for Mankind to Follow! Those that Know You, wait unseen, close by, past Tomorrow. Did you Ignore the Higher Law? Let Politicians go to War? Then, when They have no Power! Ten thousand lives to amend. This a Karmic Fact, the Human Family Destiny. Do it now! Remove a race from Misery. In Truth’s Tomb be Sealed! Have you found Immortal kin? Perhaps you’re left far behind the Din? Or become lost in Sophistry? As you walked upon the ground? Never question, Where you’re at! For every one to Know. Will you return from whence you came? Slip down the Karmic Drain? Your Spiritual Gifted Intuition Tame. Temples on Mars, came from the Stars, Near and Far! Is this You, Back again? Are you really There? No Earthly Division entered In. Has no memory of the Distant Stars. Knowledge of Mars, of Mu. Unapproachable, By the Likes of You. From the Leaves of Wisdom’s Tree. Will you make the Heavens Proud? For in Silence again you will Depart. You can be Free! Don’t follow me! A time before the mind! One Free Pass; Meditation is Departure Station! Find the Name, the one you forgot again! Your Spiritual name you will retain! Spirit Spore is everywhere! You were There! What will the Future’s Life be worth? Gleaming, Spiritual Mirror’s Perfection, Physical nature but a Shadowy Reflection! Humankind selects its own Direction. Under me, this loving Tree, reaches out to Thee. Yes, some, where you, have Lived and Died On. An Alien Asked, “Is there Intelligent Life on Earth? By what manner is their Birth? Are they Telepathic or still use the Graphic? Do they think they are Alone? Are they still embodied in Flesh and Bone? And all abhor, the war, you Let. In Ask, their light is now upon your Face. But right next door, within the Core! All around, within multi tiered Universes do abound! Place an ear to the Ground. Spiritual Healing “I Am”, all around. On many planets is the norm. In a Human’s Heart, when Soul’s Spirit can not express. Immortal beings are as gods to Mortal man. To highly evolved ancestral man, god man. Yet to understand your Place! It is you who is the Alien! Black Obama has a White Man’s Karma! Aquatic Man, Space Man, Ethereal Man, Immortal Man. Answer no question about Life when you Die! When compared to what has overcome Them! Conceived in Space waters, Ocean Motion Clave. Principles in Action, provide the Traction. One of many, but an Egg. As Plankton in a Shore less Sea, no Land yet for you to see. Let it be the Guiding Light. Ask the Spirit in your Inner Dome. Starving, Tortured, Maimed, and in Whose Name? Appalling Ignorance of a Lost Command! What your misbegotten Races’ action’s Sew! Struggles in her Polluted Death Throes. Scattering offal’s debris, Where ever it Goes. Not aware they are Not Alone! Resulting from Civilization’s un-relentless Making. As I Mature they Pulp Me, am I the money Tree? Destroy all that Feed on Me. No Peaceful Place, No Branch for Dove. Question is, Will you return to Love? Return to the Soil, and not for Oil. Control the State, Insist, could be too Late! Confess, Face up to the Test. Compulsively Addictively Consuming pay no Heed! Work Together, Improve the Weather. Make Money, Manufacture Well, “All’s Swell”. Blow ‘em, shred ‘em, all Enemy must Die. Bomb them, Blow em all Sky High. Do you continue to Kill, Kill, Kill? Over fifty years has Brain Wiped You. And so it is the same on Earth. Reflection of the Great Unseen. Evidential Vestiges, from ages, stages of civilizations past. Sixth Digit on the Hand. Indicative of a need to Tame. You Did Ask, now you have identified the Task! Hear a Superior Spiritual Grown up Step for Man! Restore Inner Vision Shrunken in a Gland. Remainder from an earlier Race, Reappraise your Face. Lost Consciousness swallowed in Cement! Remainder Wallow in Remorse, Regret. The Government State has led you Far Astray. Abysmally ignorant of the Cosmic Plan. Banks on a Devil Philosophy. Ask from where comes deserved Salvation? Act on Ask and make the Angels Sing. U Turn, before the Priestly Curse. Consume, consume, consume, Assume your Doom! Governments lead all to the Rune. Is this the future for Democracy’s road? Seek you not, Seek no More. Wealth’s wolves run panting to any Den. Startled by each loving Stroke. Truth herein by Verse and Rote. All emerged from Spirit Spore. You and Spirit will be Kin. None escape the Basic Fact. Rich on Earth, Dead to Verse? Not one will escape Sorrow’s Hearse. Material Religions have had the Hold! Grandly Export the young, Fodder for the Gun? Now the Oven’s Done, Priests’ bless Everyone. Three Thousand Wiser Men Guide this Pen! Could be you, under a Berka’s Guise. You can change, World Government re-arrange! Stopped thinking, “Inchalla”, or “Rufus Saves”. Misnamed as Aids, a Parade of Virus hungry for Subscriptions! Peoples spoon fed nothing Serious, in Pain, Retch Delirious. Old and new Diseases, spreading Fear, Fear, Fear. No word of Spirit, Soul do you Hear. It is Religion has Governments up against the Wall. Religion has no validity, Good Government, earn Mandate. Release Religions, in the name of Yawha, Jehova, Allah; Resist! Unlock Prison’s Doors, let the Harmless Free! Tightening the Grip, enslaving cultures, an Agenda’s Lore! Stimulate the Brain to Think, question Authority and self. Ask, who planted the First Seed? Ask, from where came the Seed? Ask, who grew the First Root? Ask, Ask from whence came the Root? Ask from where the Flower, who synthesized the Fragrance? Ask from where came the First Plant, and the Ant? Now Ask, Ask from where came Alcohol? What Man made the First Still? Ask who drinks Wine from a Holy Grail? Ask, who the Violent Addict. Religious Addiction, is Friction! Ask why your Children rot in Jail? Religion’s Confusions, Lofty delusions, got you by the think Tail! 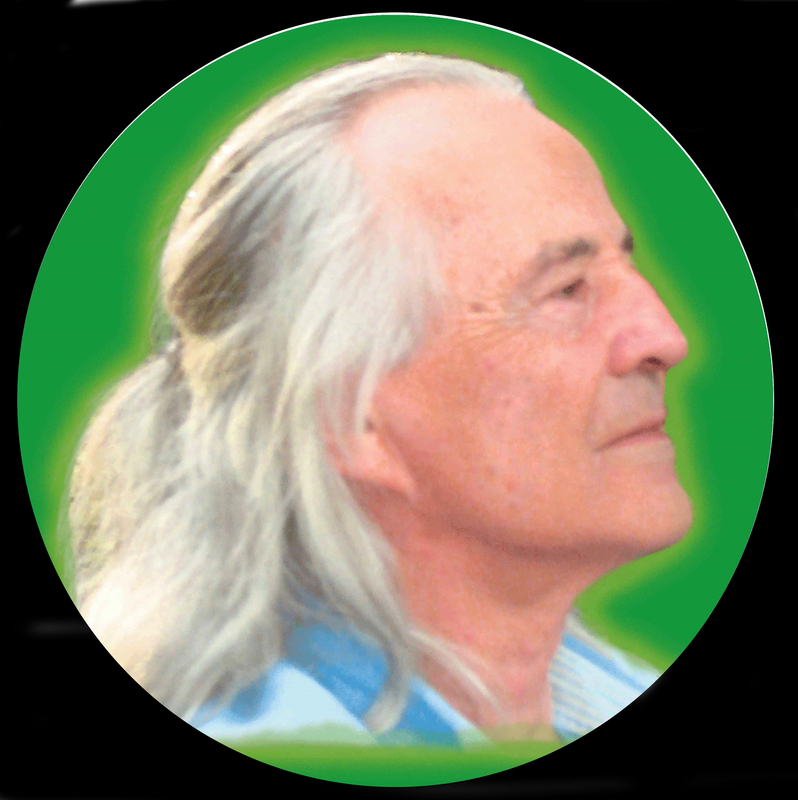 Personal, Spiritual Self Survival in Spirit Breath. Then revival, survival, born in Spirit Light. Government & Religion lied to you in every Bible. Self Serving Stories of False premise, absolutely Unreliable! So Politicians could invade and go to War? Government has No Right, and your Right, Out of Sight. Spiritual Peaceful Revolution, Stand up Together and Defy. Torture, Slaughter, Kill and Maim while Scheming Lie. Then re-allocate the rolls, rewrite History’s Scrolls. Refuse to feed, Guilty Government's Greedy Need! Heed Spirit’s Wisdom via this Pen! In Truth’s Name, retain, reclaim, and regain your Sanity! Passing Nation, Sensible seek growth, serve, earn Salvation. Implications, only the foolish do Mock! America’s Civil-war-i-zation, all for Tax must Toil? Of, Stack, Rack, “Lock and Load”. Children, there is Another Mode! Offset In Balance, Nature's Bevel. Ignorant, of their Place in Grace. All, Down Wind, all in Range! To raise Basic Issues which Tear and Rent. Ask’s Mission is the Truth to “Say”! Ask’s Spirit voice “Speaks” to All. Mass Media controlled, by you know Who! Muslim, Jews, Christians, Religions All! Such error serves you not. All Power to the Rabid Priest, Opposite to Democracy! God to Priest to Government, Direct! Suits the Few. By Concept of a Single god they Created. Today’s Farcical Leaders in need of Alibi! Deny Truth’s wisdom & confound. Maim, Murder, Steal & Lie. Usurious nature does decree Material Fate! Scorched Torn apart, ripped to pieces, their Rightful State. Money and Power can not buy Legitimate Mandate. Priests and Politicians will Justify, Deny! Accommodate Over Populate, Insatiable Demand! For Rightful Occupation of Any Land! Then Desert sands a Land Reclaim for All! Self serving scribbling written for a Later Date. Upon Another’s Unquestionable and Rightful Domain! A Self Promised State, to Await, a self Created Fate. The Media sit round firesides gossiping and Chat. Surrounding Spirit Space, home of the Spiritual Race! Already out of control is a confused Divided Race. Spirit senses leading edge of an overwhelming Blast! Hope for mankind, for those left Behind! If re-emerge, under Enlightened, loving Spirit Light. Under Bit and Reign, of Religion’s futile Faith. Wonder at their perhaps last, Bloody Bath. Drenched in blood every Hand. Listen! Preparing for the Usurer’s Feast. Erased from Atlas Page, timid world took a Nap. Lost Tribes, lost indeed, “God's” patience Sap. Capitalists, Hypocrites, intelligence would Resist. Mutant Remainder, seen choking on a Hostile Crust. Time is running out for You? Who insist, use the Iron fist! Autopsy discloses the Demon in Theocracy. Has you in the Frying Pan. Stubbornly are slow to Repent, Tax all 'till Broke and Bent. Reject their word, Protect the Garden the Elders Sent! Stolen rituals from the Crypt. Soaked in Blood, running in a Flood. Inflated Egos valiantly send the Youth to Die. And so they maintain the Lie! Back turned on Sacred Light. Stop manufacturing the tools of War. Stop selling the Tools of War. Use your wits, pick up Sticks. No longer be their unpaid Whore. Wisdom, Philosophy, Spirit Lasting Eternal. Every Religion has lost the Way. Judiciary are wallowing in the Trough. They be Scoundrels on the Carousel. Ask is not a Task to hide behind a Mask! Translates into words, as heard, has no Intent. Designated by a Few, were you? No Place for Life, no Plate, no Point, for Tithe. Deserving of no past, present, or Future Saviour! Spirit is as Spirit is; applies to Thee! Only the Spiritual answerable Naked you survive! No Colour, no Faith, no nonsense, none to Bribe. Deaf to burning acid sufferers open wounds that cry! Ask your Higher Self, Why you think you Can? Familiar Arrogance thinks it is above “I Am”. How many Shekels does a Racial Addiction Need? Forty million world wide in refuge have no wall. Oh! Illuminati Agents of a coming Cataclysm! Spirit, Revelation Prophesied, At Last! Has a Say! Do not Delay, Change your Way! Church, Synagogues, Temples, the Hour is Now! Result of Past Invasion’s actions do not Die. Lending Gold to Each Victor! Confusing your own mayhem, in a wrong Belief! Arab, Jew, Christian Visions; Concocted Stories, Real Divisions; In Malice from the Chalice, dulling the Spiritual Root & Sub Races’ inherent, Inner Vision. Ask Answered! “Your choice is not Elective”. Will you be Effective? Humbled, discover True Perspective? Ask the Tree of Knowledge gives Clear Directive. You will become your Brother! Justice comes, one Life or Another. Common interest in the mess, Animal Hu-maness. Debris from a forgotten Planet’s morbid Demise. Ask said, in words earlier Read, “You were There! Mars, Maldech, Mu, Lemuria, Atlantis, Zare! Knowledge of the ‘Christ I Am’. War, War, War, War! History plus Prophecy says Four. Mankind’s Litany, shows not, There will not, be More? Where to hide from Incoming Thunder? Alternative is to be Scorched Asunder! Your Choice. People Unite with Common Voice. Spiritual Maturity is Your Duty. Flow to the Hu-man Pool. Return to Truth, Salvation’s Tool. Bring forth the Inner Beauty. Sacerdotal Class, avoid more, insincerely Sin-ister! Donate the No-Sense Teachings of Iniquity! Hostilities Cease. Demand the Peace. Ahead inevitably awaits the Spirit Breath. What did you send on Ahead? Truth Has Revealed Life’s Mystery. May last a Thousands Years of Man. Study History, your Own as Well. Natural Order in the Great Divine! Pave the Path, for you to Find. Enough of Skepticism, mindless Cynicism. Will the Angels Shut the Gate? Were you Loyal to your Mate? On Razor’s Edge, each now await Their Fate. As they Starved there in the Ditches? Are you black, are you white? Stand for Truth, rise above the chatter. Get it Right, or Die in Fright. your World is out of Time. For written in the Sand, tomorrow’s Future Close at Hand. Matrix Multi Planed, inter-dimensional, Incomprehensible! Essence, the Soul’s Sought for Presence. Ask Ask, Were you Heaven Sent, is the God a Sentient? Eventually all Return, to that Eternal Home. Desperate, nowhere to Escape, Accumulates its Fate. In Group Consciousness, do Distress Resonate. Man’s Law & Nuclear State, sold out for Money! Unable by Karma’s decree to alter Action’s Fate. To eventually Evolve and Manifest your Immortality. Etchings, Far Older than the Pyramid. Other Races, More Evolved, Earlier came this Way. Understand, You Are Never Alone! Due to Earthly Stew, This be nothing new. Traditionally, in History, was no concept of a Creator? Sense Dual Reflection of the Great I AM. Unaware of God’s unfolding Plan. As you do so u Reap. So Sensibly today be Free. Beyond, Death’s Dogma of Finality. Save yourself from the coming Storm. Are you gods or merely Vermin? Together wait the Morning Star. Ask, Yes the time is Right, here another Test. Respect, not such utter Rot! Criticize all who Lie, lest gloating eyes watch you Die! Again, responsible for a Civilization’s fall. Pharaoh’s Hieroglyphics reveal True History. Rabid Rabies convinced is their Duty. Ceremoniously buried Highest Moral Scripture in Cement. Send you Chasing money in a Daze. Condemn every single one of them. Compete, “Divide & Conquer”, be Their Steed! No wonder, from such, a world is Shrinking! Religion is Mankind’s great Profanity! Islam has lost another Hand! If all Religions are a Scam? If no Religion represents the great “I Am”? A Race is elevated upon that Day! Understanding anew, If “I Am” is getting through. Pedophilia Superdome, Male Society, Nun for Variety! Poured in your ear, your head! Forget not Thirty years, Eight million dead. Drowning pounding confounding, pitiful gasps, a cry! Where Mercy under Hostile Carcinogenic Sun? Why? Without her, Life could not have Begun. Must the innocent also die, Lord, will we really Fry? Generates, Gestates, Creates each Spiritual Spore. Sprouting in this morning’s Dew. Christ Light, Enlightenment, will heal the Rest. There be no Saviour. Finally it is said, “Simple Truth”. Seek the way, re-engage, change to Right Behaviour. Ask, is this your Salvation? Resist these Ingredients of the Earthly Stew. Herein a Spiritless Recipe, recognize, deserving not Respect. Insincerely Stir Fry Pope an Emperor Too! For these Imposters you do Toil? System’s slaves chained, detained, restrained, maimed in Oil! Orthodox Concrete, under Feet, a Passing Poisonous Priestly mix, brewed slowly in Deceit. Jeweled Fruit sustains Pursuit, of Truth’s Trailing Vine. Tree’s Knowledge Feeding all Renewed Hope. Hear the Angels & Ferries Dance! A Fact, Egos refuse to Know. Too many implications, for such considerations. Same since your time Begun! It’s hardly Fun, Living by the gun. In the main, acting just for that lower undiscovered self. Wealth in lasting Spiritual Treasures, do Substantiate. Man’s Burden of the Mortal Fate. Except here, when they turned the Bread to Toast. From the Past which stretches Far Behind. Human Flock led Astray, Who to Ask? Every human has an Opinion, who is right? Where common sense, based upon the Evidence? To whom to Pray? Ask, Sri Sunkara, Ask the Tree, What does Spirit Say? No Shifting Rock to Stone the Flock. Sense Truth’s Spirit Blossom in the Heart, here now Today. Truth at last here to stay! Allah Akbah, God is Great! Blessed is the name, “Yawhe” the same. Enlightened consciousness, beyond this humankind. In another life, you to a Wife. From Desert’s Shifting Sands, be God’s Hand. Religions teach Error, encourage Hate, all Terrible! A sickly Sacerdotal Class, reprehensible, Indefensible. All too Scared, too comfortable to even Try! Govern all. Answer to the Spirit’s call. Ask the ‘I AM’, a Natural Born Heretic! Layered under a Veneer of Lesser Intelligence! Each creature lives a Life as under glass. Did he come down from the Mountain? Could you hear the crowd a shouting? Do you Believe, robed men don’t Deceive? Accept Veda’s Knowledge beyond Epistles. Have you listened to the Prophet? Become just another forgotten mound. Or did you Help Create the Mess? Have you surpassed the rest? Did you do your very best? Later will you cry and cry, did you Try? Space Race or passing Fallen Star? Be not shocked, when Death is mocked. Continue denying why you came? Praying to some fancied god? Complete aware, revival upon Arrival! No Saviour except your past, present Good Behaviour. No longer deny the inner Voice! Candid is as Candid is, only you to blame. Ask will you need another Birth? And ask when you’re gone, will it be how long? Ask will you return, will you burn? When there, did you rise above the din? To the passing pain of Earth’s Domain? As you struggled for a breath? Peel you from your skin? Desire meaning? The Truth beyond the Grave. Know you will survive and still Alive. Knowing reaction of “The Cosmic Law” to every action. Path ahead, pass each Test, Home at last, time for Rest. Play your Ace. This be truth, Truth be, you be Free. Blindly desecrating where you Are. Country after country, unaware Spiritual Ethereal. I AM a Pilgrim from the Past. Love Truth as God in Action is the Repeated Plea. A Love Rhyme for Planet Earth, my Valentine. Herein Spiritual Hierarchy’s Willing Approval Seal. From whence all Religions Sprang. Now Dharma, Karmic Law does Dispose. Will returns only good Reaction. Earn a Mention, Escape Earth Bound Detention! Empowered in Knowledge of Spiritual Principle & Law. Truth in Action, set the role, be the Guiding Goal. Do what Ask asks to do, not what You Want to Do! Is this what the gods would have me Do? Simply said, “Do Unto Others”, do it Now do not Delay. Contents of the Higher Brain retain. Alive after Death, True Death is on Return, memory closed. No greater Truth for you to Find! Ask, Where the Higher Self! Sense Organs unseen by you, do Lead. Does Survive this Mortal Animal Self! Not to complain, say good-by to the Pain. Get this Fact in the Head, It is Plainly said! Found Freedom from Religions' Prison. Action & Reaction is the Karmic Mode. Past, present, as you Create your Way. Enhanced Awareness, without in-out Breath. Illegitimate Religions used and abuse that Know. Lights On, You really Need to Care. All do survive, in Life’s Continuum, past Death, Alive! The Reality you allowed to block. Re Born in Another longer, Temporary State. Spiritual Sub Race, route of the human kind. Survival then, Return Again, and Again and Again. Would you enter the Silence? Great or great, Great Grandchild? Be assured this Truly is your Fate. Filled your head with Deliberate Lies. In order Priestly Power Increase! Human Nature's Basic Truth in Books burnt or banned to You. Fueled, Fooled, Fed the power of the Few. Collective Memory of the Race knows as Common Place. Have we all been Dense? In our heart, dwelt a Knowing Lie. Accountability, Consequence at the passing No defense! No Devil, Except in detail, No cross, no loss no Nail. A Christ Consciousness, Divine Wisdom, Inhale! Take back control, Expel religions' Terror. You are there, you made the Mess. Drink Truth, and only the Truth from this Love Cup. Sacrificially upon Man's Faith did Feast. And insincere Ghouls, a few Emotionally of Good Intention. No god of their Invention. Discriminates not the Evening Dew. Or was it by Right Regal Royal Command? Afore your self, Feed the Higher Self. The time is Right, mankind Unite but not in Fright. It is Really up to Thee. Ask and herein the Key. Meditate, create, clean the slate, Affirm. Not one, No not one Religion is Legitimate. Serve and Suit Control, or made by past Government. He gods, after the Image of a Man? Yes, in the past and in the future, Not Now! The gods are of man, not of God. There be but one God, it is not a He. And a Spiritual Hierarchy, of Infinite Degree. We bow low with Awesome Respect. Spiritual Power to Control the Tribe. Long buried Divinity, in an atrocious Antiquity. Count the Money, on the Side. Higher Teachings survived from way Before. See the past, from whence you Came; Know the Future be the Same? No, the future will be the Winning Game. This, Truth’s God's Given Hour. There be, a Shepherd for the Flock. Ask, Ask a Question, this be the Prophecy. They evolved from Human Shape. Again, today, to your detriment. All found in Spiritual Ground of Spiritual Reality. You are Spiritual Seeing Being in a Spirit Kernel. Bursting forth an Immortal Flower. Christian Soldiers no longer Burn. Coming to you, really Soon. Human Race on Earth will Know! Truth in Spirit’s word does Flow. Asked Ask, Ask Sri Sunkara to Chant a Gita Song. Lady Shipton gave the Time, Truth's Melody is in the Rhyme. Passed Sword’s word, Cutting Edge this Way. Karma has Them on the Run. Mountain Man does clearly See. Absolute Proof you’re not Alone! Warning of a Coming Solar Blast. Blood soaked sand, no god does Demand, Atrocity! Unless Sate & Religion immediately Rescind! Reveals not the Invisible, can’t find Spirit in a Vial. Manifest, study Spiritual, acquire a new Daily Ritual. Imbalance, deny the Invisible, refuse the visible Dangers? Scorched Meat, Mutants running in the Street. Now Demonstrate in every Action. Would you spare the Race the Rod? Seven Sexes is the Norm! But Sexuality has a longer Tale. Remnants, of your own Hidden History. Remainder of evolving natural human Sexuality. Every aspects of your Race’s kind! You may return in a Palestine made by You! A thousand Journeys man does not recall. Law says you will get the Same. “Do unto Others”, concepts to be Heard! Is this my lasting Self? Do I know my Higher Eternal Spiritual Self? Is that it back upon the Shelf? Ahimsa, Please release the Holy Cow! May the Gods of your choice, guide you from Enigma. Ancient Wisdom, Karma’s Truth stays the Level. You have Lived through them All. My Friends this One’s against the Wall. Where you are, is a grain of Dust from a Distant Star. Ask, "Ask" who ‘You’ are. And will become, at the Final Setting of the Sun. Honestly, Honour the Golden Rule. “Do unto Others, all are Brothers”. What will be the gods’ reaction? Hu-man Metamorphose is the Name. No Earthly Human can evade, Ignore. The Total Sum you do Believe. And all Adds up to Naught. When exposed to Light does Erode. What you can or can’t Investigate. Higher Civilization needs not the State. Denying Truth above the State. Ancient Lasting Wisdoms, Lost books they did Burn. Ten Billion years, from you did Fleece. Knowledge, Spiritual Reality, Life, Beyond the Grave. Ask’s Teachings provide an Educated path to Brave. Spiritual Glue that Anchors you. Original Sanskrit, Aryan does predate. Kept for the Few, by Swami Guru. Chaldean, Mazdean, Murian, Mu Yes You! A Short Selection, in recent Inscription. Were not the gods Designed by you? Lost in time, Survivors from Science, did Roam, or Rot. Numerous Relationships, no different to your Own. Memory in Mind be closed, however Heart Aches for the Spiritual Home. Buried Spirit asunder Beneath the Earth. Resonating, Rotating to the Unfolding Plan. Temporal, Mortal, a Leaf, I AM. Spiritual Healing a Soul to Gently shake, Awake. The Sum of life's actions, is all you take. Given Truth, to save one from the Past. “It” for you, is not too Late. You will realign your fate. To Love and Serve all Humanity ceaselessly. Affirm Truth does Evil seal! In Spiritual grace, Cosmic Beings observe a Race. I am Stronger and am living longer. Risen from the Ash, in “Ask”, renewed Understanding. In the Eternity, in Spiritual Reality, there be no Finality. © 2002/2009 Higher Spiritualism All Rights Reserved.